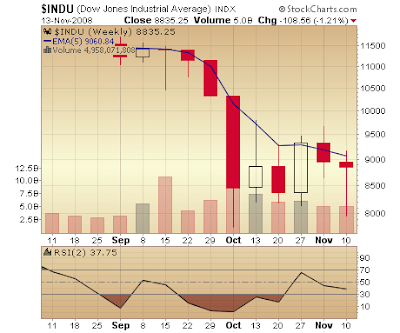 So Will our market respond to dow's yesterday's movement? This is everyones routine question about dow. Will our respond to global news? Will we close today positive today as inflation figures are now at single digits (9.8% ). or from the so called economic data's But the Closing will be entirely depends on the Biggie Operators. The could operate the market as they wish. And nifty bends accordingly. 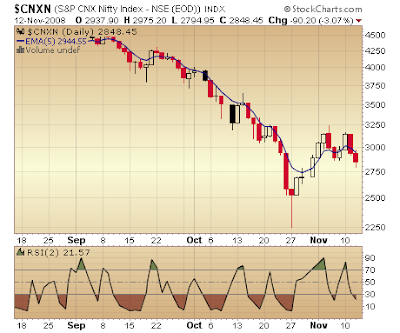 2950 roughly to get a buy signal in nifty charts. 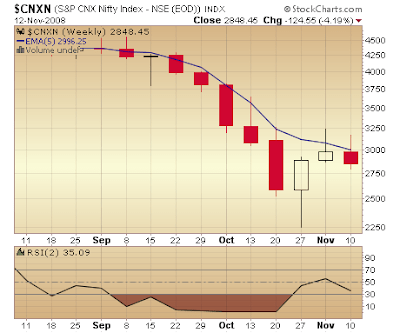 5)5EMA Systems, Falling 2- Period RSI EMA systems suggest a selling wave in coming days. As of now SGX Nifty futures are trading near 2890 levels. Asian markets opened positively. only belongs to Warrior Traders rest stay away and just watch the market.